Our History | Recycle Florida Today, Inc.
https://usfarmersandranchers.org/2019/review-best-place-to-buy-viagra-online/34/ For more than 25 years, Recycle Florida Today has served as the premier professional recycling association among individuals engaged in the industry of recycling in Florida. Founded in 1990, four women – Barbara Heineken, Mary Cummings, Kathy Kelley and Teresa Shiflett answered the call to unite those interested in the industry and profession of recycling in Barbara’s kitchen. 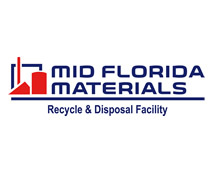 The literal round table effort eventually formed Recycle Florida Today, Inc.
see url At the time, the driving force was to establish an organization aside from the issues of solid and hazardous waste and focus more on recycling and environmental sustainability efforts. The State had recently passed the 198 Florida Solid Waste Management Act and many professionals were faced with having to implement supportive programs and educate the public and governing bodies with few and limited resources. The early focus was geared towards providing open forums where such professionals could network and educate each other on best practices, share resources, and provide a means of communication with like-minded individuals. The group also included special interest in organics recycling with the establishment of the Florida Organics Recycling Association (FORA), which later became the Organics Recycling Committee (ORC). https://recyclefloridatoday.org/6057-my-first-day-in-college-essay/ The association grew its educational outreach with the start of the Issues Forum. The Issues Forum served as a one-day educational workshop to encourage idea-sharing and networking on special topics of interest. The organization grew to more than 200 professional members, seven committees and expanded programs that now include an extended annual summer conference to build upon educational opportunity offerings such as Environmental Lunch and Learn Series (ELLS) events, webinars and other member training opportunities. custom dissertation writing services The focus continued on education and engagement while providing a forum for public, private and non-profit recyclers to mutually discuss and leverage recycling opportunities. The organization assist members in improving skills and techniques in recycling through our educational programs and exchange of ideas and technical knowledge related to all forms of recycling. In 2015, we celebrated our 25th anniversary where the moniker and motto of the organization, “ go here Recycle Florida Today for a Sustainable Tomorrow!” was coined. thesis acknowledgement examples Today, the act of recycling is more important than ever. By joining, you will be connecting with a professional network to gain ideas and education as well as assist us in accomplishing our mission. Join Recycle Florida Today for a Sustainable Tomorrow! culture of india essay Join Us Today!